Hey kids, just a few quick hits today because I’m in a hurry. 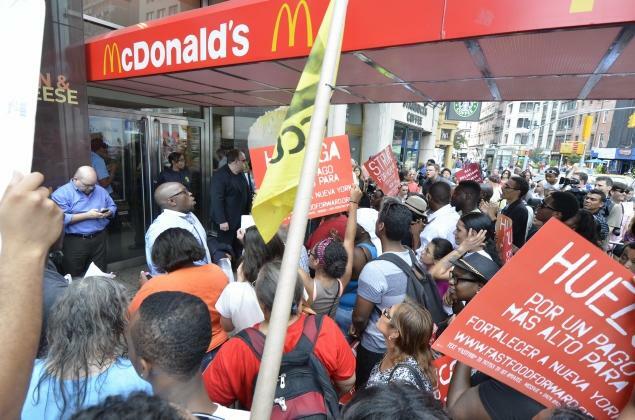 How cool is it that fast food workers in selected cities are going out on a series of one-day strikes this week? The Big Mike answer and Official Pencil Policy Statement? Very cool. Ever since Saint Ronald Reagan institutionalized this holy land’s policy of crushing labor unions by decertifying PATCO back in 1981, the labor movement has slid inexorably nearer to irrelevance. Dig: by general acclamation, the single most powerful workers group in the United States is the Major League Baseball Players Association. That is, a group of workers whose entry-level annual base pay is for the 2013 season is $490,000. That comes out to cool $30,625 per two-week pay period for the newest, rawest, and, perhaps, least productive worker in the business. Try to find a currency exchange that’ll cash that check. 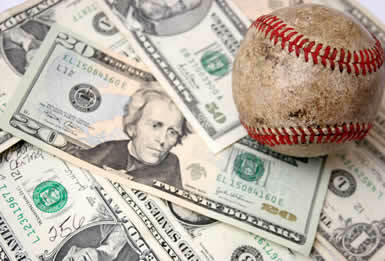 But the MLBPA has consistently beaten the major league baseball owners at the bargaining table for the last 40 years. Baseball is the only major pro sports operation that doesn’t have a hard salary cap and big league ballplayers are entitled to the most liberal free agency system in all sports. Oh, and all contracts are guaranteed, meaning if a player is cut by a team, the team still owes him all the money due through the end on his contract. Pretty sweet, eh? Of course, most things are pretty sweet for the 1% in this great nation. Then there’s the poor slob who’s pouring your cup of McDonald’s coffee, maybe even as we speak. He earns minimum wage. Which, as any kindergartner can calculate, is not enough to support a family of one, much less two, three, or more. The big cheeses at Mickey Ds, Burger King, Wendy’s, and all those other salt-and-fat emporia are wringing their hands and dabbing at their eyes with their Kleenexes [boxes of which they purchased at drug-and-convenience stores that also pay their “valued associates” that same princely minimum wage], trying to convey to us through their subs that their businesses will crumble if they have to pay out a penny more in wages. I for one would be more than happy to pay a dollar extra per Big Mac just so’s the single mom flipping the horsemeat over a hot griddle can buy her kid[s] some shoes. And if you wouldn’t, let me be the first to inform you that you are a jerk. 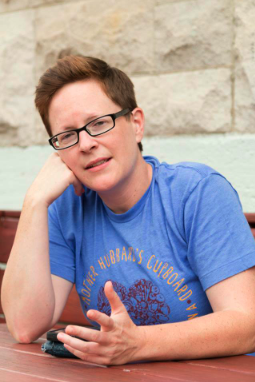 This needs to be said and I’ll be the first: Annie Corrigan of WFIU carries the best set of pipes in all of Indiana broadcasting. She is the consummate professional and her joyous, dulcet lilt wakes me in the morning like the call of the cardinal. My only fear is she’ll soon follow the scent of real b-casting money to a larger market, a reward of which she’s more than deserving. Oh, Annie girl…! Pope Frankie made a big splash yesterday by holding an impromptu press conference on the airplane as his entourage high-tailed it out of Brazil. 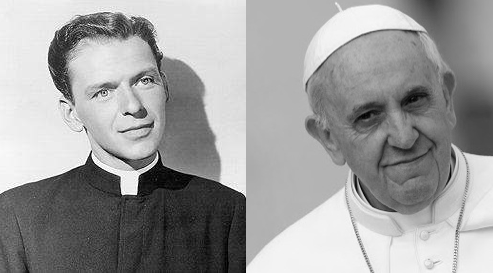 Among other things, the new Vatican princeps said he wasn’t about to judge anyone for being a homosexual and that women ought to play a larger role within the Church. Now, before we all start throwing huzzahs around, let’s remember it is still the policy of the of the Roman Catholic executive committee that homosexual acts are sins and women shall never be priests. Back to coolness. How cool is it that John Kerry is the 68th Secretary of State of the United States of America? President Nixon and his gang of gasbags would have thrown a party had Kerry, then one of the leaders of Vietnam Veterans against the War, been run over by a bus. It’s a shocker that one of the rat-fuckers didn’t get that bright idea and try to recruit a down-on-his-luck bus driver to carry out the contract. 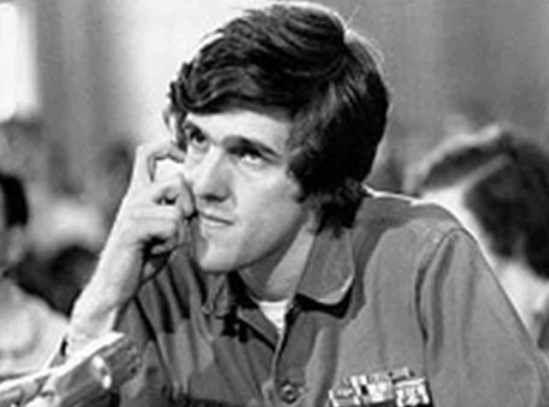 And now, Kerry is in charge of US foreign policy. We’ve still got a lot to be ashamed of and apologetic for in America, but we’ve come a long way, baby. And we were getting along so well … I think McDonalds workers should absolutely be able to unionize if they want (by secret ballot please) but I don’t think minimum wage should be a “living wage”. I think the fairest way to determine wages is the desirability and scarcity of one’s skills. If people find themselves in the position of having to support themselves on minimum wage they need to look in the mirror for the reason (there are exceptions of course). Lastly, I have to jump to the defense of the ‘ol cowboy. The PATCO strike was illegal and double R (moment of silence for the big guy …. thank you very much) gave them several days to think about it before he justly fired them. Love ya as always.